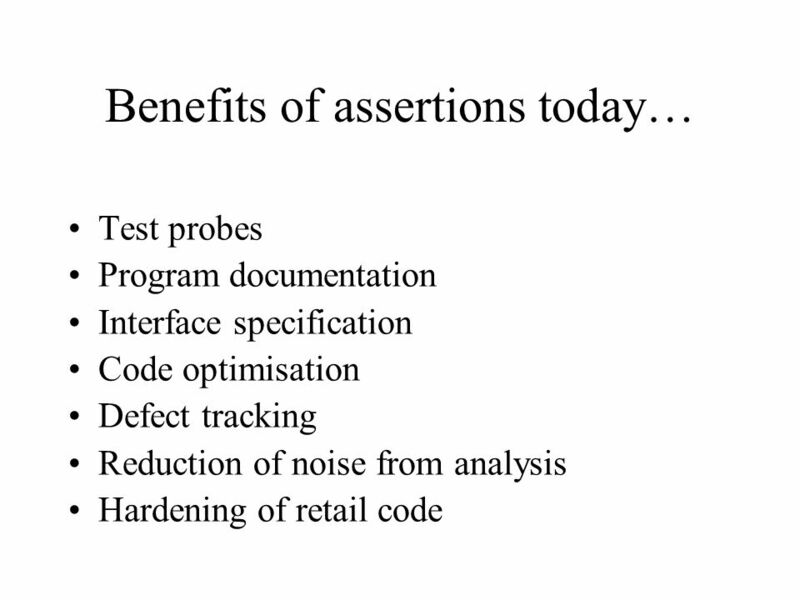 Assert early and assert often Practical hints on effective asserting Tony Hoare Techfest February 2002. 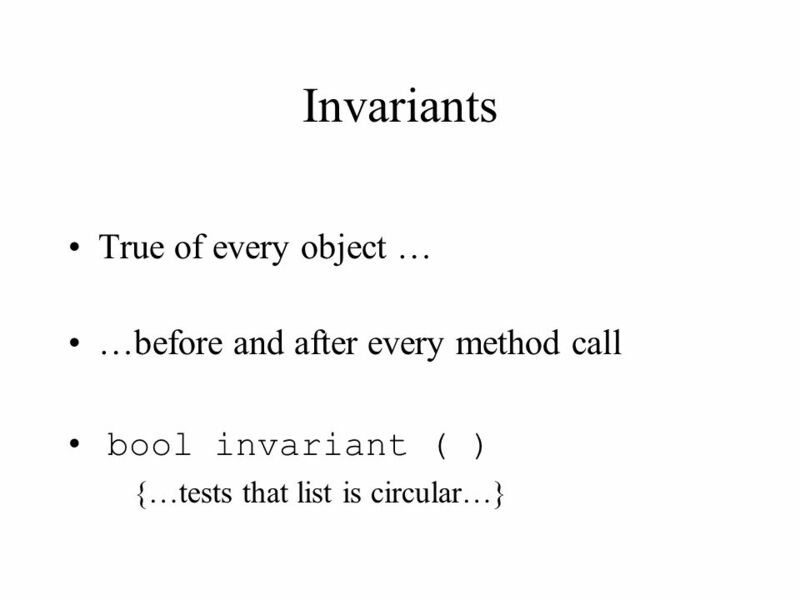 12 Invariants Integrity checking Software audits Post-mortem dump-cracking. 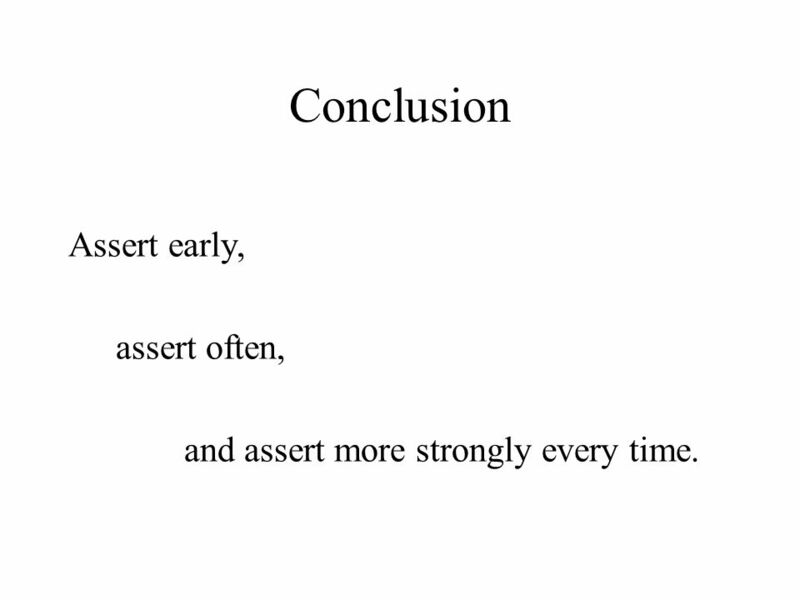 22 Conclusion Assert early, assert often, and assert more strongly every time. 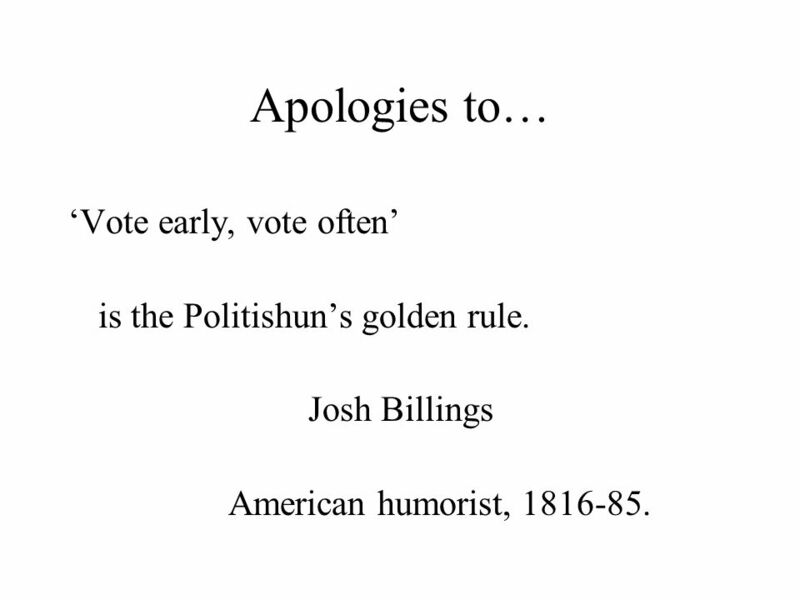 23 Apologies to… Vote early, vote often is the Politishuns golden rule. Josh Billings American humorist, 1816-85. 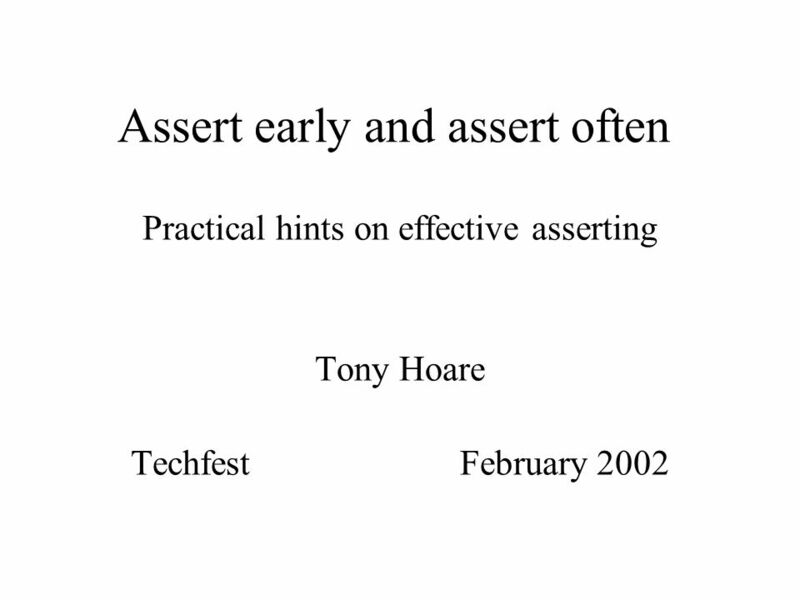 Download ppt "Assert early and assert often Practical hints on effective asserting Tony Hoare Techfest February 2002." 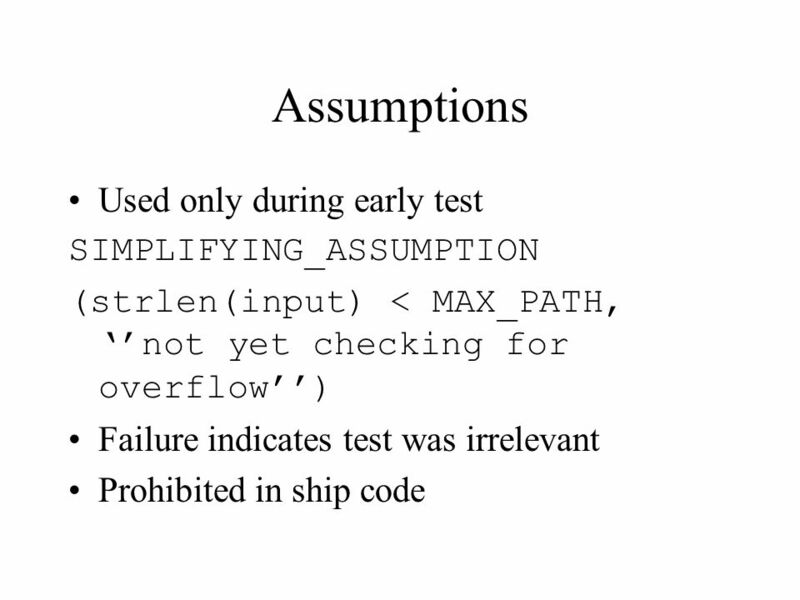 Joint work with Mike Barnett, Robert DeLine, Manuel Fahndrich, and Wolfram Schulte Verifying invariants in object-oriented programs K. Rustan M. Leino. 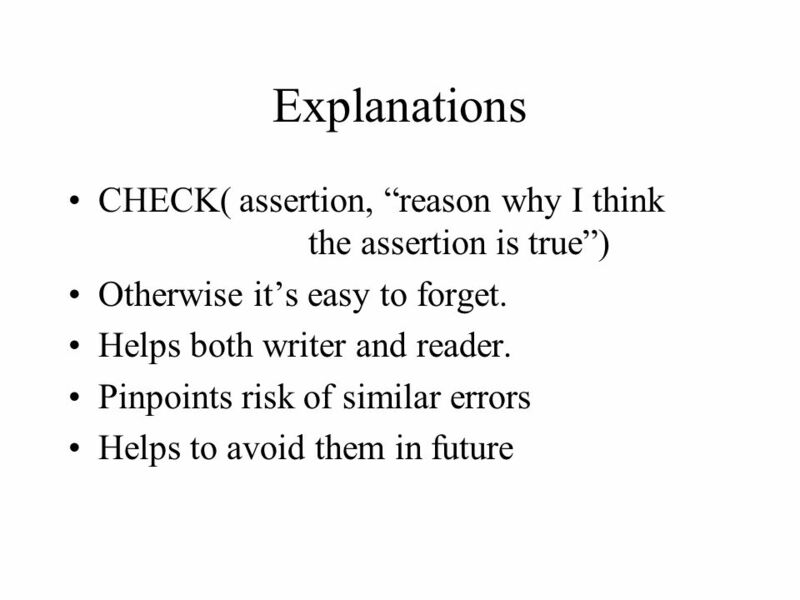 Automated Theorem Proving Lecture 1. 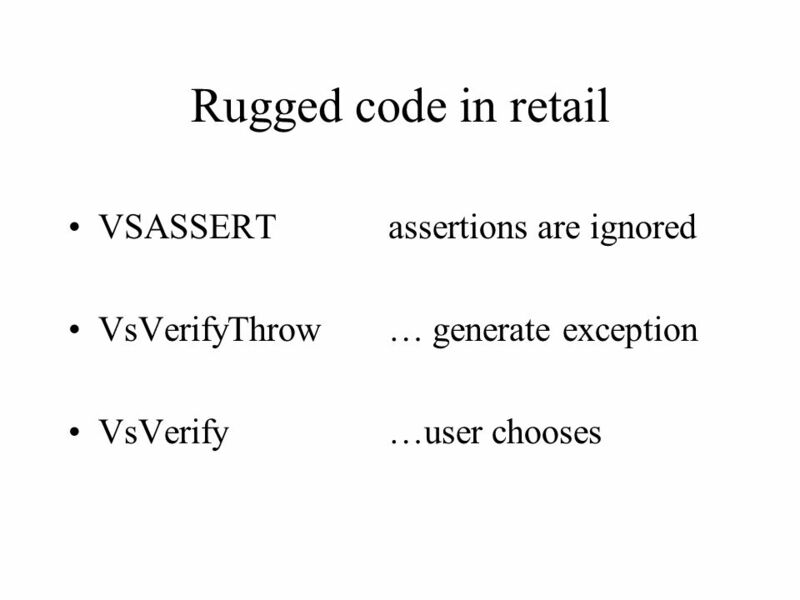 Program verification is undecidable! 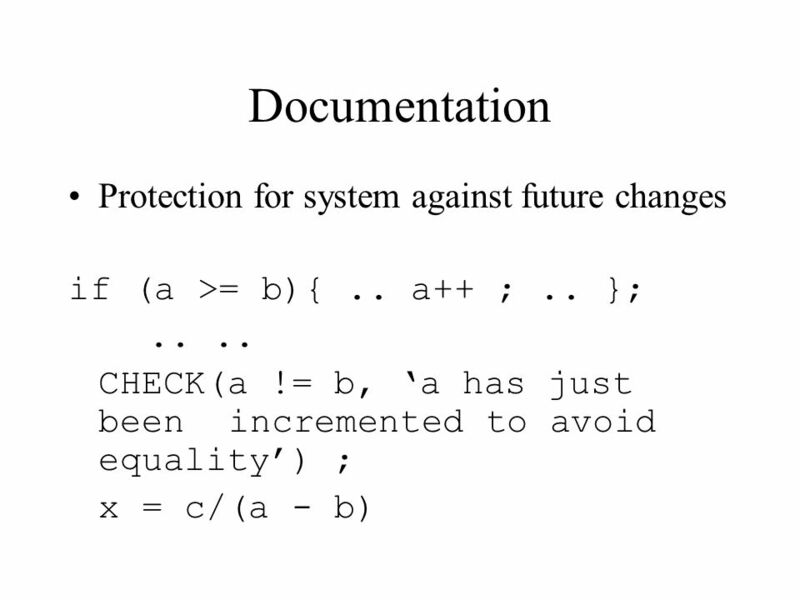 Given program P and specification S, does P satisfy S? Challenges in increasing tool support for programming K. Rustan M. Leino Microsoft Research, Redmond, WA, USA 23 Sep 2004 ICTAC Guiyang, Guizhou, PRC joint. 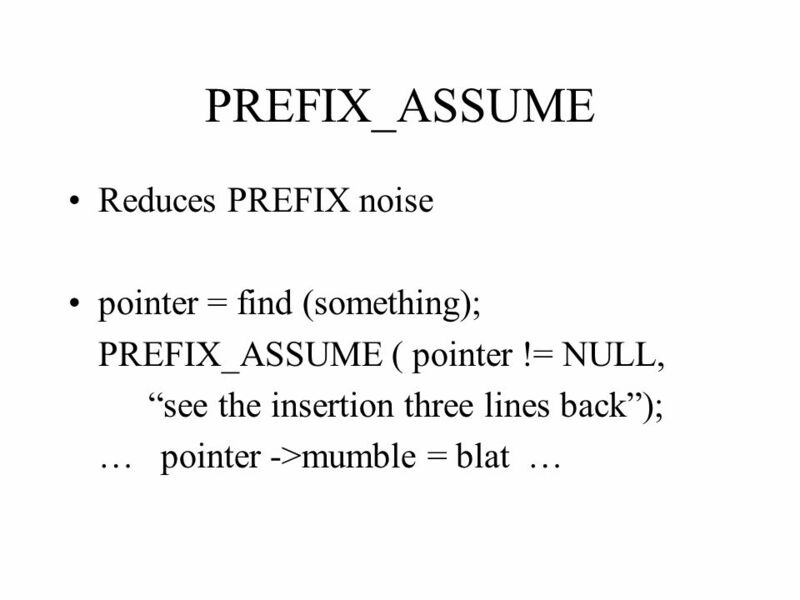 The ideal of program correctness Tony Hoare CAVSeattleAugust 2006. Carlos D. Rivera February 28, 2007 Design-by-Contract. 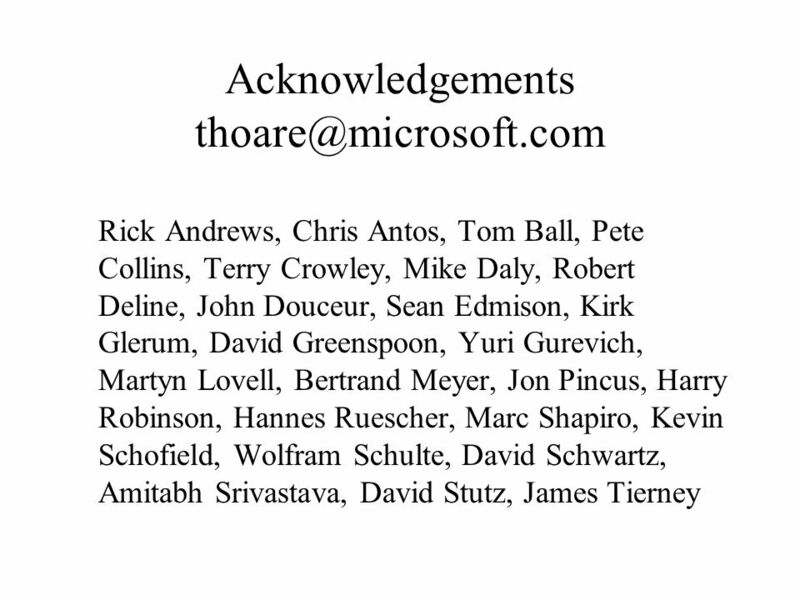 The Spec# programming system K. Rustan M. Leino Microsoft Research, Redmond, WA, USA Distinguished Lecture Series Max Planck Institute for Software Systems. 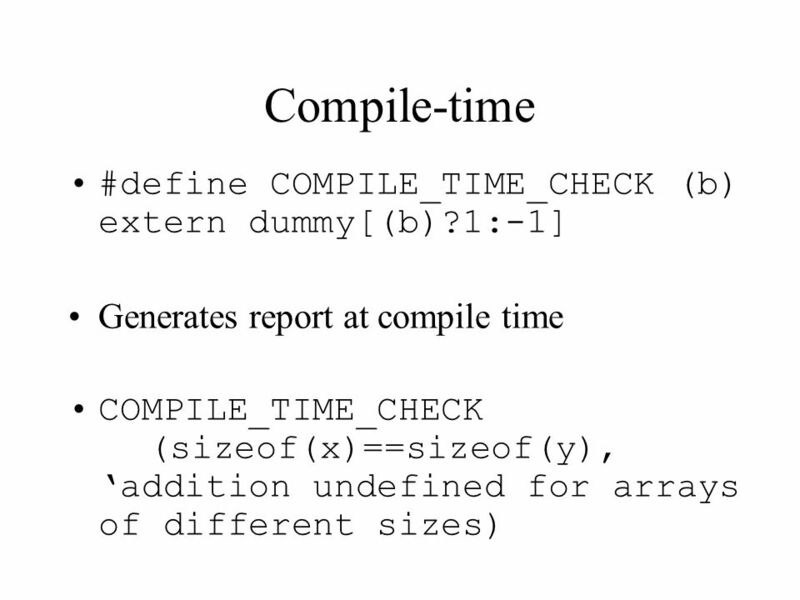 Extended Static Checking for Haskell (ESC/Haskell) Dana N. Xu University of Cambridge advised by Simon Peyton Jones Microsoft Research, Cambridge. 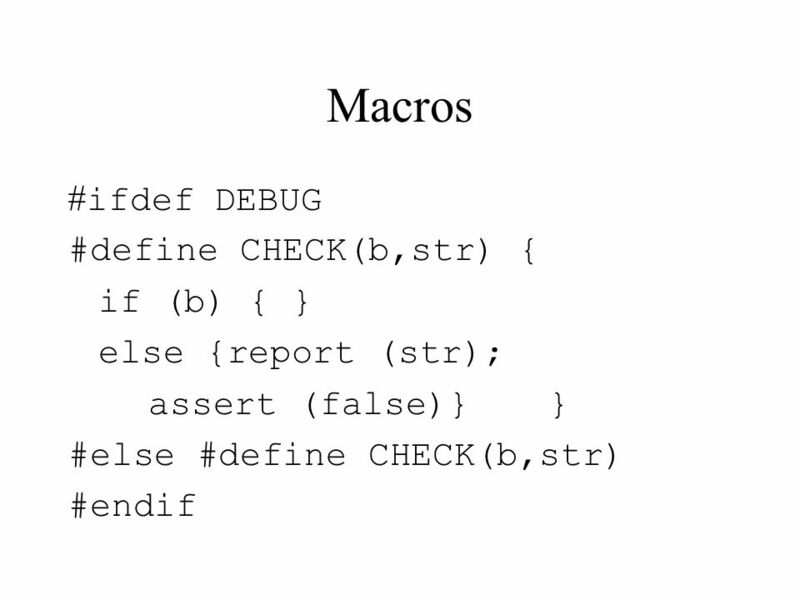 CSE 331 SOFTWARE DESIGN & IMPLEMENTATION DEBUGGING Autumn 2011 Bug-Date: Sept 9, 1947. 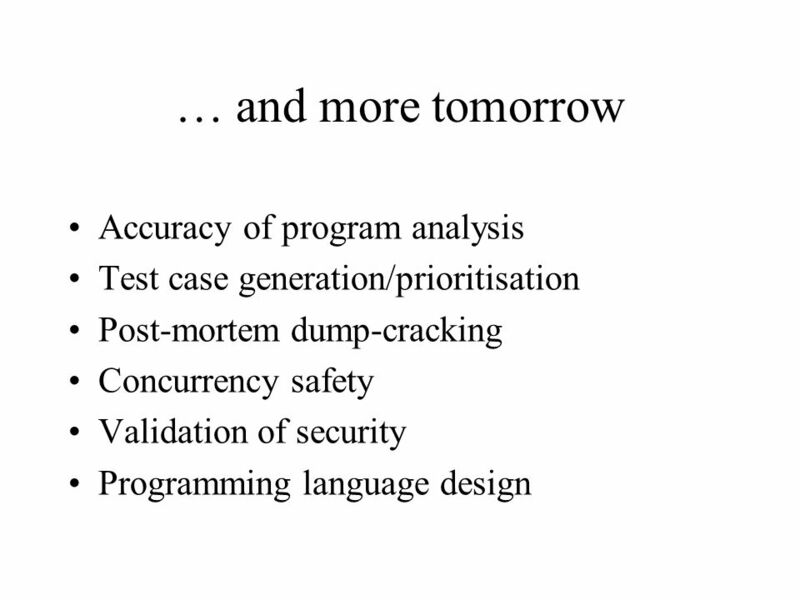 The ideal of program correctness Tony Hoare BudapestSeptember 2006. 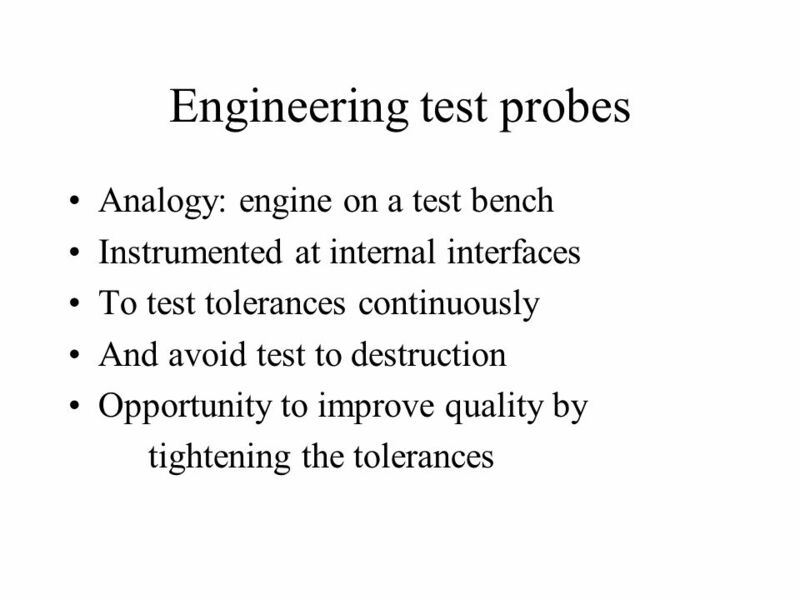 Software Engineering-II Sir zubair sajid. What’s the difference? Verification – Are you building the product right? 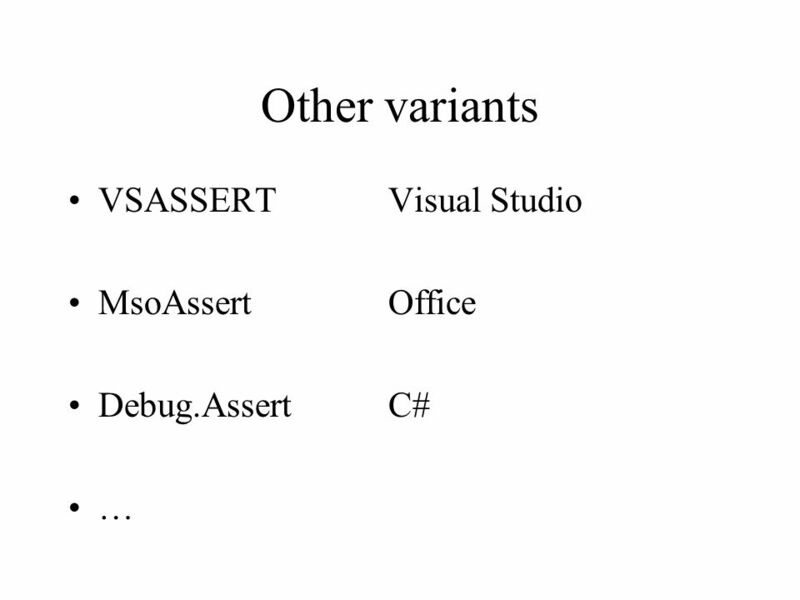 – Software must conform to its specification. Error Management with Design Contracts Karlstad University Computer Science Error Management with Design Contracts Eivind J. Nordby, Martin Blom, Anna. 1 Design by Contract Building Reliable Software. 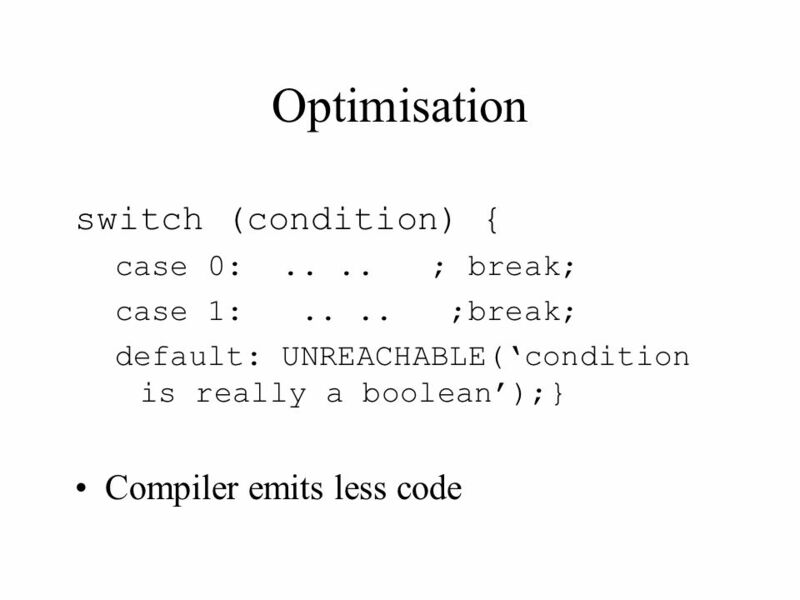 2 Software Correctness Correctness is a relative notion  A program is correct with respect to its specification. 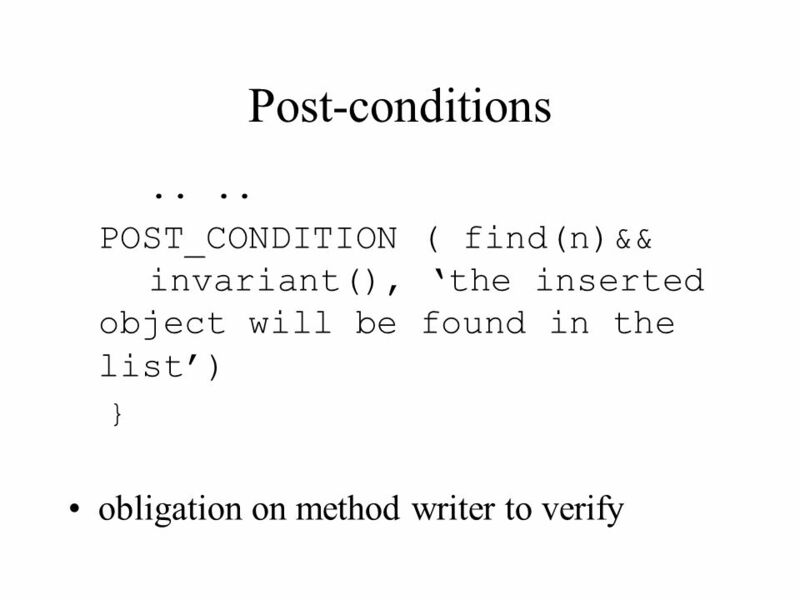 Formal Methods of Systems Specification Logical Specification of Hard- and Software Prof. Dr. Holger Schlingloff Institut für Informatik der Humboldt. 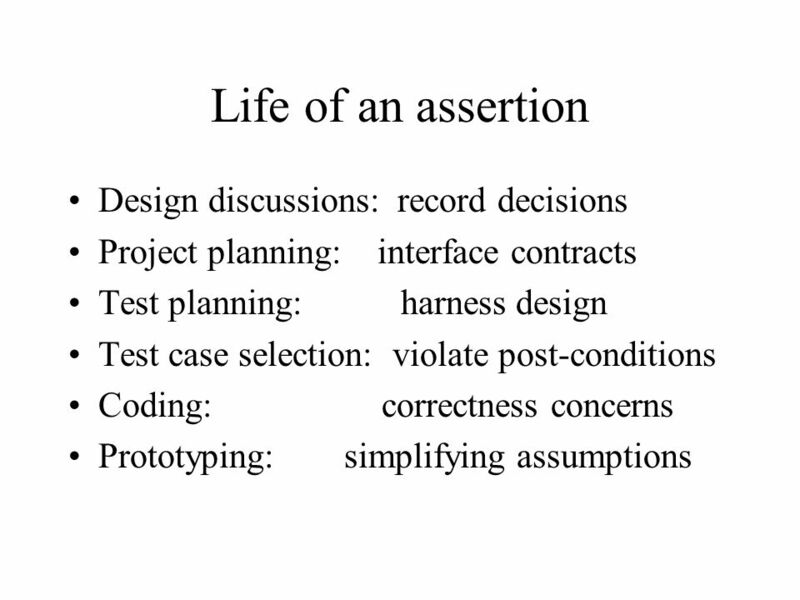 On the Relation between Design Contracts and Errors Karlstad University Computer Science On the Relation Between Design Contracts and Errors A Software. 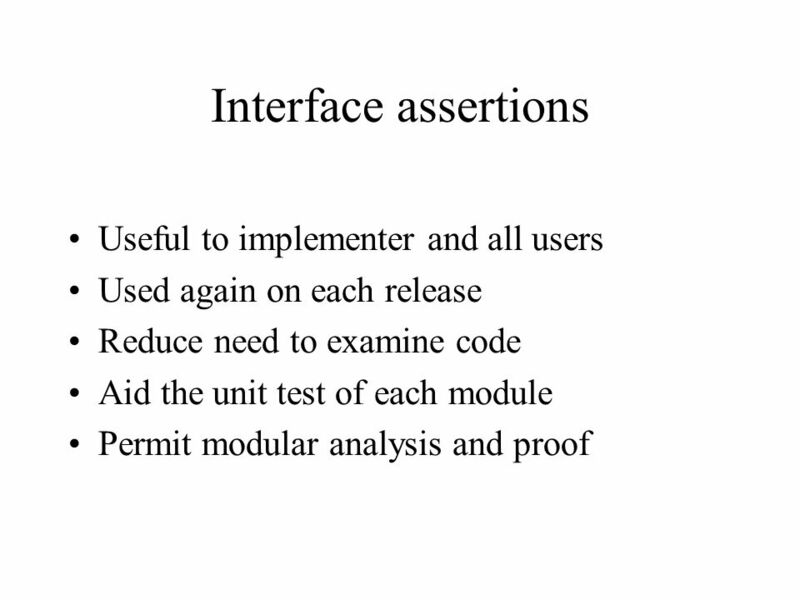 Test Plan: Introduction o Primary focus: developer testing –Implementation phase –Release testing –Maintenance and enhancement o Secondary focus: formal.